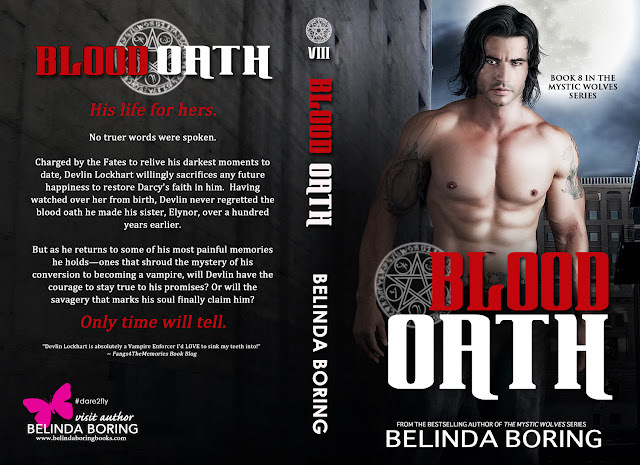 Belinda Boring Author: Blood Oath Cover Reveal! Charged by the Fates to relive his darkest moments to date, Devlin Lockhart willingly sacrifices any future happiness to restore Darcy’s faith in him. Having watched over her from birth, Devlin never regretted the blood oath he made his sister, Elynor, over a hundred years earlier. But as he returns to some of his most painful memories he holds—ones that shroud the mystery of his conversion to becoming a vampire, will Devlin have the courage to stay true to his promises? Or will the savagery that marks his soul finally claim him? Any thought of confessing the truth to him evaporated with his last sentiments. If he knew and understood the lengths I would go to, that I would in fact spend the rest of my existence focused on my blood oath, it would crush him. Better he spend his days in ignorance and well-intended deceit than come face-to-face with reality. Accepting his hand to pull me out of the deep hole, we stood at the edge and peered down. The thought of Elynor lying in the coolness and then covered with the soil made me want to scream and shake my fists at the heavens. It made me want to summon the Fates and curse them for their cruelty. Reliving this seemed so unnecessary. “How are we ever going to let her go?” New wrinkles graced my father’s features when he finally looked away, swallowing hard. He’d aged another ten years. He was now an old man. I chose my next words carefully. “We don’t. 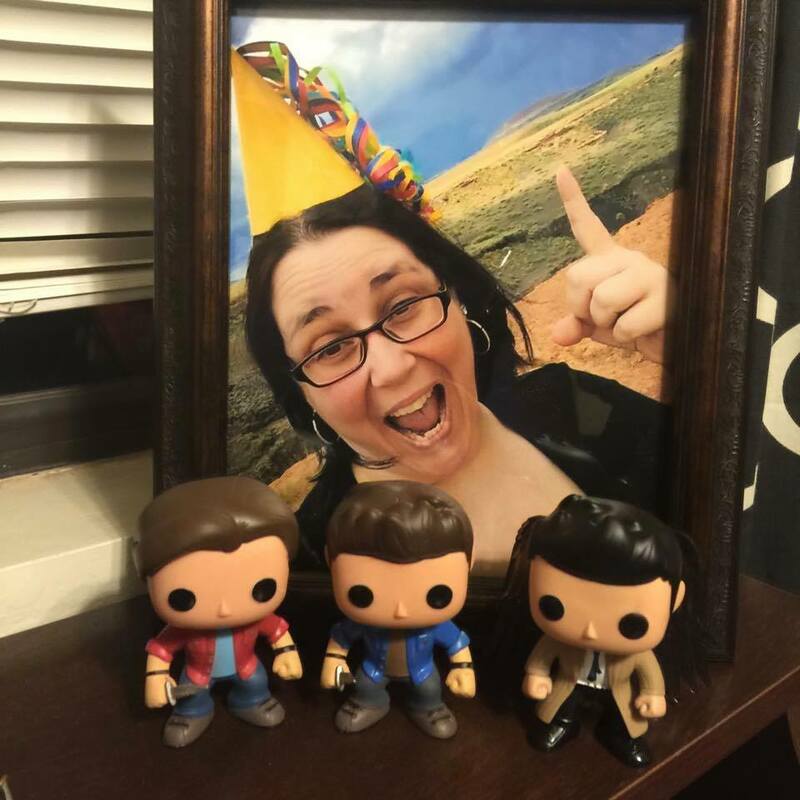 We remember her and try to continue living a life that would make her proud." Quick fun fact about the cover: The very first Mystic Wolves story was published in 2011 - 5 years ago. I have NEVER been able to capture what Devlin looked like in my head. EVER. I've found some who came close, but he's pretty much been a character in thought. To me, whoever I chose as the muse for Devlin had to be PERFECT. It took me FIVE YEARS to find him! It happened early one morning when I wasn't able to sleep ... gotta love insomnia ... so I was scrolling through Facebook and stumbled across Taria Reed's photo page. THERE HE WAS! I bought two images (still need another because Devlin needs THREE books to complete his own story arc) and have swooned ever since. THIS is Devlin. THIS is who I see in my head. I hope you love him as much as I do! I'm so incredibly excited for this story! I'm in LOVE with Devlin's cover and can't wait for you all to discover his secrets! Stay tune for more newsletters filled with a release date announcement, giveaways, special Mystic Wolves offers, and general fun! Happy reading! Do you have a general idea when it will be released, like a year or something? Waiting to see what Devlin has been up too!!! Is blood oath still going to be released this month?? Waiting impatiently for my fix lol. Hi Belinda. When is 9 up for grabs? I love your mystic books. Keep them coming! Thank you.